Ginger Wine is also known as OT or the ‘OTHER THING’ – the temperance drink for teetotalers. In the olden days, temperance drinks were not only seen as delicious non- alcoholic tipple, but were also thought to have health benefits. Ginger wine was advocated as a good digestive and for soothing nausea but also good for sore throats and colds. Peel and wash the ginger and cut into thin slices. Make lime juice and keep aside. In a large clean vessel put all the above ingredients together with the water and bring to boil. Boil for at least 2 hours first on high then on low heat till the decoction is slightly thick. Remove from heat and add the lime juice. When cold, strain through a thin cloth. Bottle the wine and use whenever required. Peel and wash the ginger and cut into thin slices. Make limejuice and keep aside. In a large clean vessel put all the above ingredients together (ecxept the lime juice) with the water and bring to boil on high heat. Boil for at least 2 hours on low heat till the decoction is slightly thick. Remove from heat and add the limejuice. When cold, strain through a thin cloth, then bottle, and use whenever required. This is a good digestive. 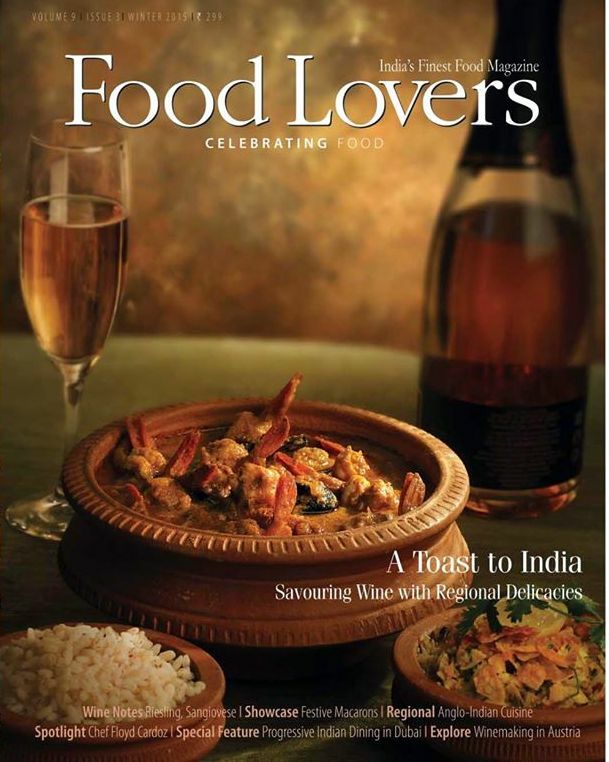 The winter edition of Food Lovers Magazine is now in stores across India! 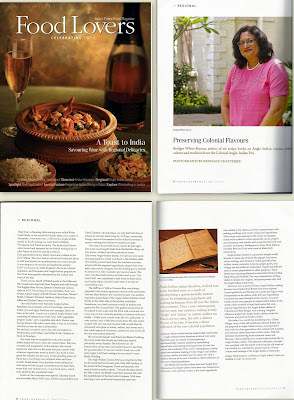 With features that explore the culinary landscape of Progressive Indian Cuisine in Dubai, with some of best Indian chefs across the globe; a first-of-its-kind pairing of wine and robust, rustic Indian fare, representing the length and breadth of our diverse gastronomic tradition; a study of India’s Anglo Indian Cuisine to tell a story of forgotten colonial influences in the kitchen; and a fascinating culinary investigation of Gaggan, Bangkok, the first Indian restaurant to make it to the top 10 in the list of the World's Best Restaurants. ‘A COLLECTION OF SIMPLE ANGLO-INDIAN RECIPES’ is a revised, consolidated version of four earlier Recipe Books of Bridget White, namely Bridget’s Anglo-Indian Delicacies, A Collection of Anglo-Indian Roasts, Casseroles and Bakes, The Anglo-Indian Snack Box &The Anglo-Indian Festive Hamper. 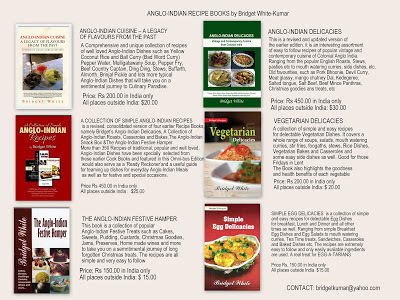 More than 350 Recipes of traditional, popular and well loved, Anglo-Indian Dishes have been specially selected from these earlier Cook Books and featured in this Omni-bus Edition. 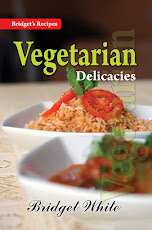 This single Consolidated Imprint of easy- to- follow Recipes features Soups, Pepper Water & Vindaloo, Curries & Fries, Roasts & Stews, Chops and Cutlets, Croquettes & Rissoles, Foogaths and Vegetarian Delights, Rice Dishes & Pilafs, Pickles & Relishes, Casseroles and Baked Dishes, Snacks & Short Eats, Nibbles & Finger food, Sweets & Desserts, Custards & Puddings, Christmas Cakes & Festive Treats, Curry Powders, etc.The huge selection of Anglo-Indian dishes featured in this Cookery book will surely take one on a sentimental and nostalgic journey down memory lane of old forgotten Anglo-Indian Culinary Delights. All the old dishes cooked during the time of the Raj have now revived to suit present day tastes and palates. 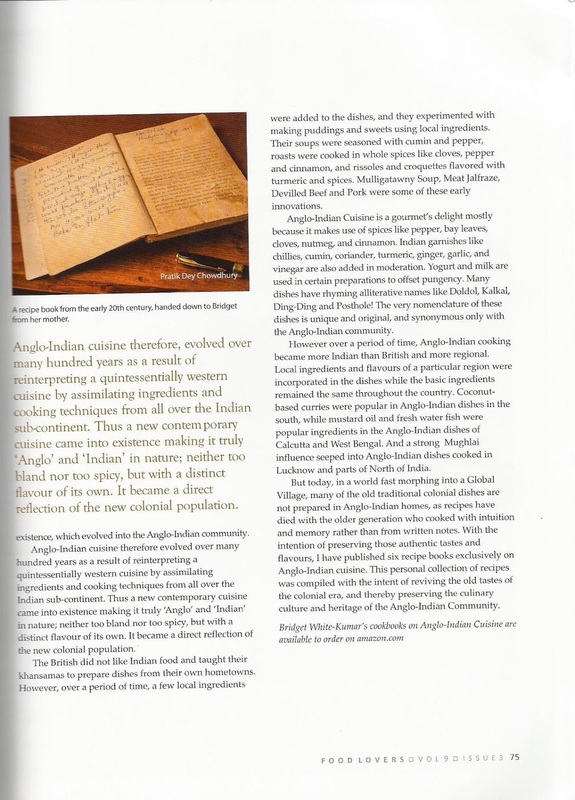 This Cookery Book would also serve as a ‘Ready Reckoner’ and a useful guide for teaming up dishes for everyday Anglo-Indian Meals as well as for festive and special occasions. 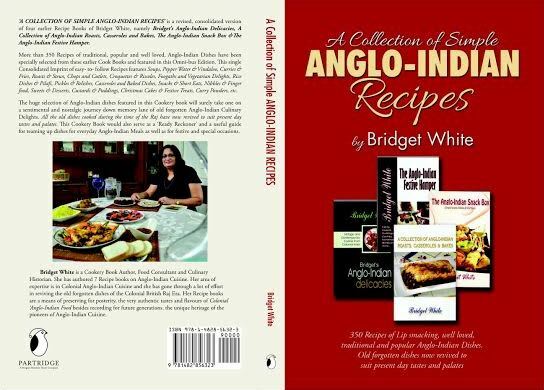 It gives me great pleasure to bring out this new publication entitled ‘A COLLECTION OF SIMPLE ANGLO-INDIAN RECIPES’ which is a revised, consolidated version of 4 of my earlier Recipe Books, namely Bridget’s Anglo-Indian Delicacies, A Collection of Anglo-Indian Roasts, Casseroles and Bakes, The Anglo-Indian Snack Box and The Anglo-Indian Festive Hamper. 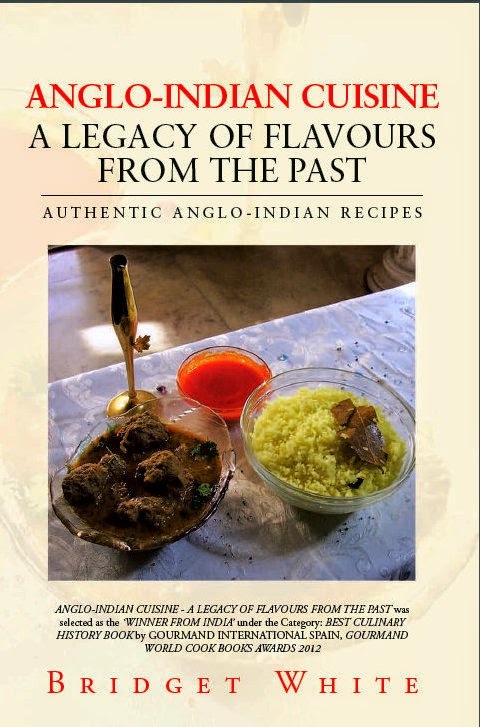 More than 350 Recipes of traditional, popular and well loved, Anglo-Indian Dishes have been specially selected from these earlier Cookery Books and featured in this Omni-bus Edition. The huge selection of Anglo-Indian dishes featured in this Recipe Book will surely take one on a sentimental and nostalgic journey down memory lane of old forgotten Anglo-Indian Culinary Delights. All the old dishes cooked during the time of the Raj have now been revived to suit present day tastes and palates. 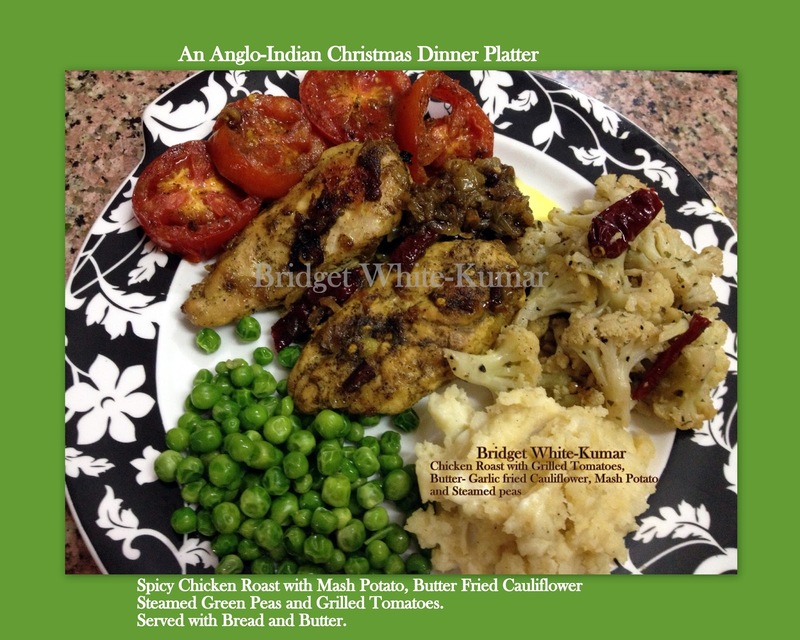 This Recipe Book would also serve as a ‘Ready Reckoner’ and a useful guide for teaming up dishes for everyday Anglo-Indian Meals as well as for festive and special occasions. So what are you waiting for? 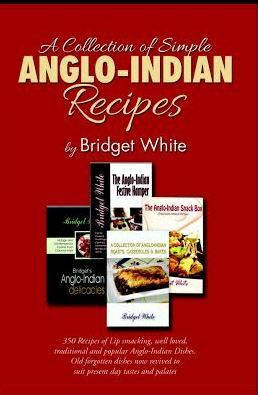 Delve into this awesome collection and you’ll find simple and easy recipes for preparing your favorite Ox tail and Trotters Soups, Plain Pepper Water or Bone Pepper Water, Vindaloos and Curries, Devil Fries & Chops, Nana’s Special Duck, Chicken, Beef & Pork Roasts, Beef and Chicken Country Captain, Papa Pat’s Pork Chops, Mince Cutlets, Stews, Croquettes & Rissoles, Yellow Coconut Rice & Ball Curry, Junglee Palau & Vegetable Jalfrazie, Devil Chutney, Brinjal Pickle, Fish Padda and many more ANGLO-INDIAN DELICACIES. A COLLECTION OF ANGLO-INDIAN ROASTS, CASSEROLES AND BAKES. The very names of the dishes will make you drool. Round it off with a creamy Caramel Custard, Bread Pudding, Strawberry Flummery, Apple Grunt or any other lip-smacking Anglo-Indian Dessert or Sweet from the vast selection that has been featured. What’s your favourite childhood Christmas memory? Do you associate Christmas with the smells, sounds and sights of the season? This Cookery Book aims at just that. 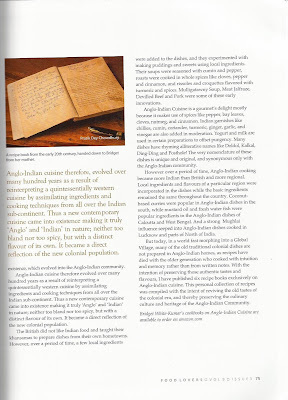 The separate section on THE ANGLO-INDIAN FESTIVE HAMPER features recipes of all the old Anglo-Indian Christmas favourites such as the Traditional Christmas Cakes, Plum Cakes, Mince Pies, Fruit Cakes, Kalkals, Rose Cookies, Coconut Sweets, the Christmas Pudding, Bole Cake, Semolina Cake, Dodol, Beveca, Marzipan Sweets, Peanut Fudge, Cashew nut Fudge, , etc, etc. It will awaken long forgotten magical memories of childhood - Of the smell of the decorated Pine Christmas Tree in the Sitting Room, the enticing aroma of Christmas Cakes being baked, the Kalkals and Rose Cookies being fried and the aroma of the other Christmas Goodies being prepared in the kitchen by Mama and Nana - Memories of the whole family sitting round the dining table on “Kalkal Making Day” rolling the kalkals on the back of a fork or fighting to lick the left over cake batter in the mixing bowl will come flooding back. 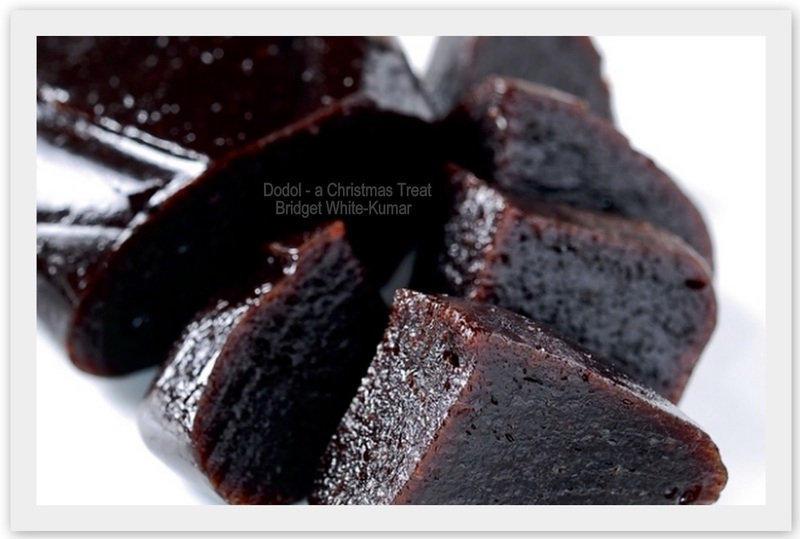 Recreate the Christmas of your childhood with these recipes of all the old Christmas Treats. Then to round off the festive spread, you could make your own home-made Grape and Ginger Wine. 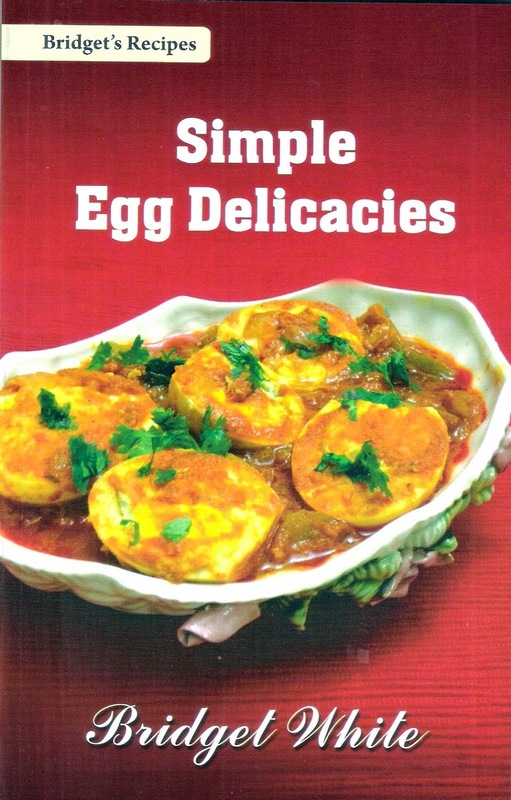 The recipes in this book are simple and easy to follow and only easily available ingredients have been suggested. 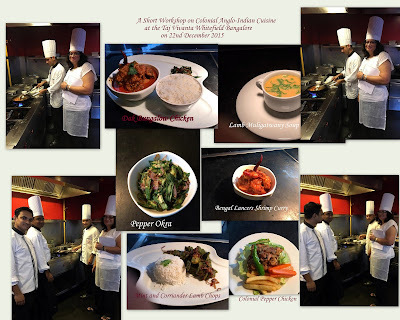 The easy-to-follow directions for preparing these old, popular, sumptuous dishes make cooking simple, enjoyable and problem-free. 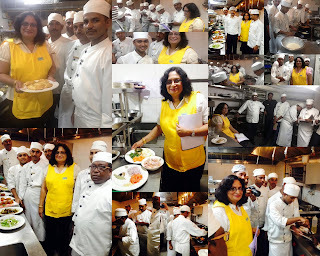 I'm just back from Jaipur where I conducted a Cooking Training Workshop for 3 days from the 24TH TO 26TH August 2015 on Colonial Anglo-Indian Cuisine at the Sujan Rajmahal Palace for around 20 of the Chefs and Khansamas of the various Hotel properties of the Sujan Luxury Group such as Sher Bagh Ranthambhore (the tiger Camp), The Serai Jaisalmer (Desert Camp), Jawai the Leapord Camp, and the Rajmahal Palace Jaipur. 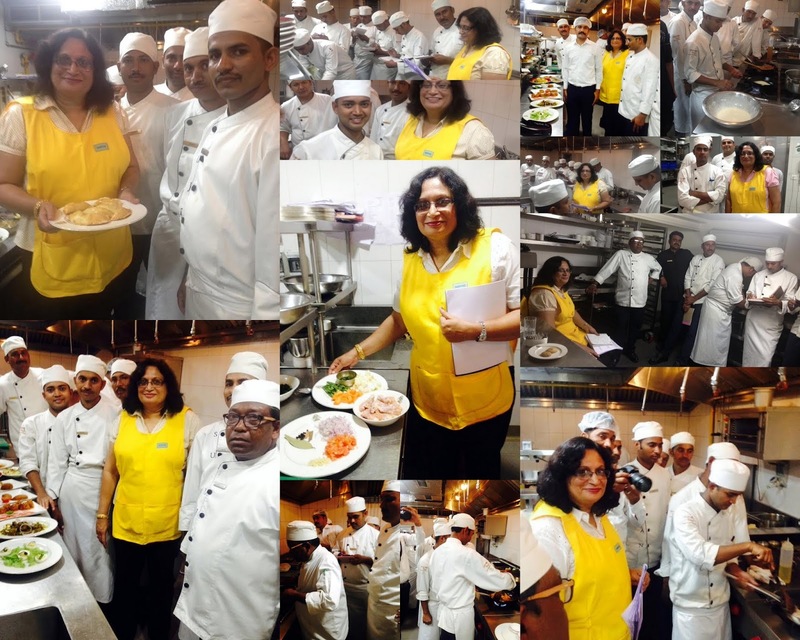 Had an amazing and out of this world experience at the Rajmahal Palace and a fulfilling and wonderful teaching session sharing Classic Colonial Cuisine to a very receptive and eager to learn batch of learners. Many thanks to Mr. Yusuf Ansari for giving me this wonderful opportunity. Old Colonial Anglo-Indian Dishes that were recreated and demonstrated were The Dak Bungla / Bungalow Mest Curry, Grandma's Country Captain Chicken, Railway Mutton Curry, Lamb Chops, Pork Vindaloo, Chicken Vindaloo, Junglee Pilaf, Coconut Rice, Lamb Mince Ball Curry, Butter Parsley Rice with Nuts and Raisins, Mince Fricadels, Fish Rissoles, Egg Chops, Mince Curry Puffs, Lamb Mince Panthras, etc. I was born and brought up in Kolar Gold Fields, a small mining town in the erstwhile Mysore State (Karnataka) in South India. Kolar Gold Fields or K.GF as everyone knows, had a large and predominant British and Anglo-Indian population and was known as THE LITTLE ENGLAND in the olden days. 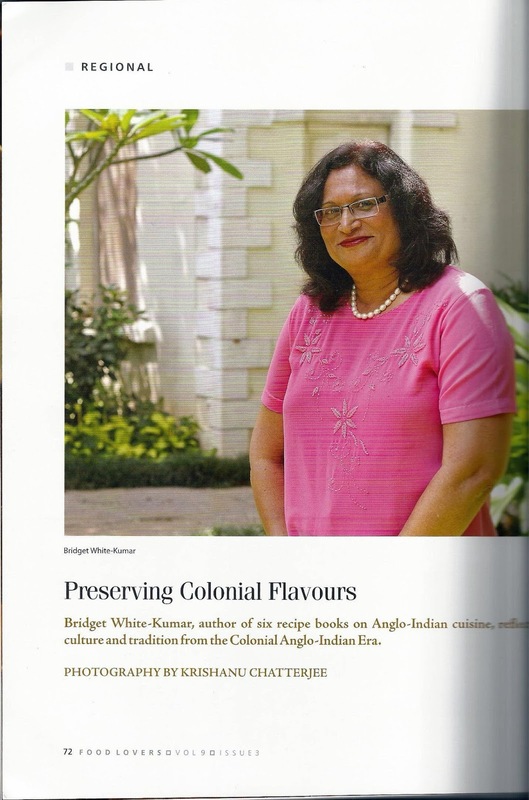 Our lives therefore were influenced to a great extent by British Colonial Culture.Our Food habits were typically Anglo-Indian - Breakfast was normally a bowl of Oats porridge, toast with either butter and jam and Eggs. (Sundays saw sausages, bacon or ham on the Breakfast table). 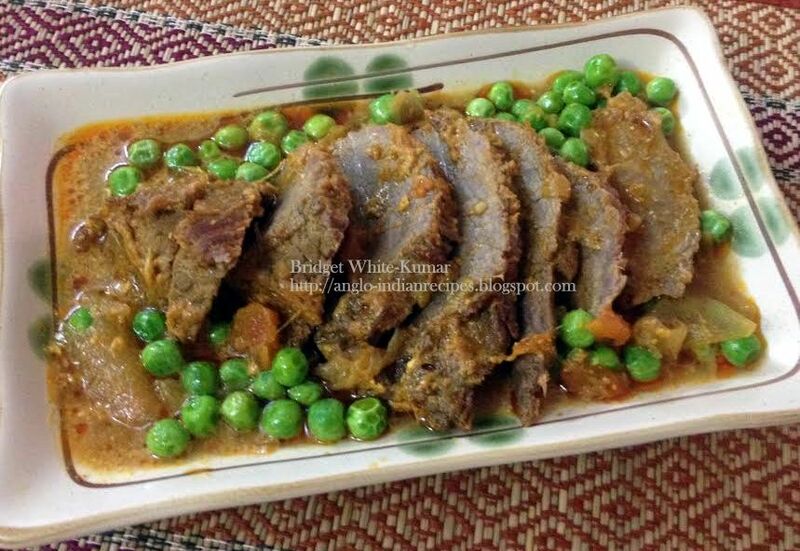 Lunch was a typical Anglo-Indian meal which consisted of Steamed Rice, Beef Curry with vegetables, Pepper water or dhal curry, and a vegetable foogath or side dish. Dinner was always Bread or Dinner rolls with a meat Dry Dish, (It was an unwritten rule that we didn’t eat rice at night). 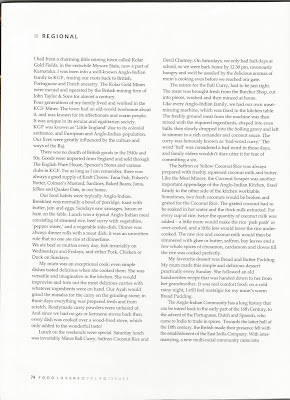 We normally had either beef or mutton every day, fish invariably on Wednesdays and Fridays and Pork or Chicken or Fowl on Sundays. 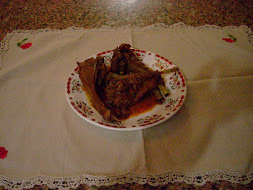 My mum was en exceptional cook and even the most ordinary dishes cooked by her tasted delicious. She was very versatile and imaginative when it came to cooking. 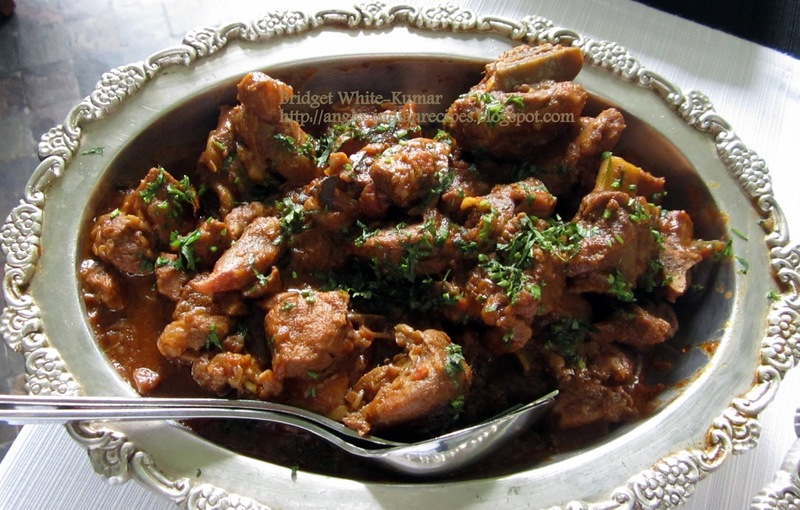 She would improvise and turn out the most delicious curries and side dishes with whatever ingredients were on hand. Every dish she prepared was delicious even if it was just the basic Rice and Meat Curry that was cooked every day. My mum had a procedure for everything. The onions had to be thinly sliced and the green chillies and coriander leaves chopped finely. Even the tomatoes for the curry were first scalded or blanched and the skin removed, then chopped into bits and strained through a strainer / sieve so that only the pulp was used and the seeds and skin thrown away!!! While our everyday lunch was considered simple, lunch on Saturdays and Sundays was special. Saturday lunch was invariably Yellow Coconut Rice, Mince Ball Curry (or Bad Word Curry as the word ‘Ball’ was considered a bad or slang word in those days), and Devil Chutney. 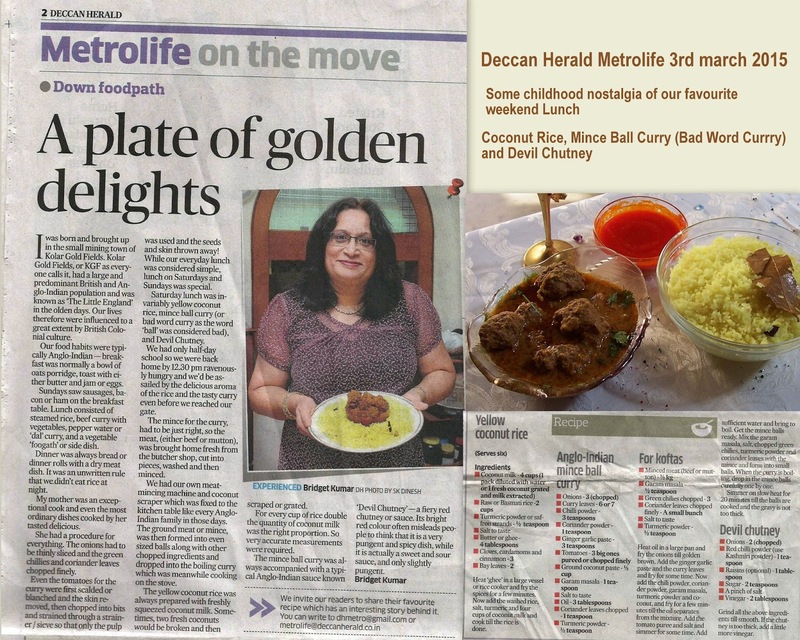 My mind still recalls and relishes the taste of the Mince Ball Curry and Coconut Rice that my mum prepared on Saturdays for us. On Saturdays we had only half-day school so we were back home by 12.30 pm ravenously hungry and we’d be assailed by the delicious aroma of the Coconut Rice and the Tasty Mince Ball Curry even before we reached our gate. 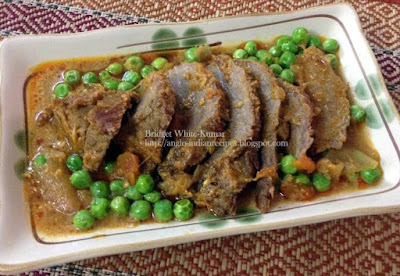 The mince for the Ball Curry, had to be just right, so the meat, (either beef or mutton), was brought home fresh from the Butcher Shop, cut into pieces, washed and then minced at home. (We had our own meat-mincing machine and Coconut Scraper which was fixed to the kitchen table like every Anglo-Indian family in those days. No making of the Mince at the Butchers as it had to be double ground in the Mincer only at home). 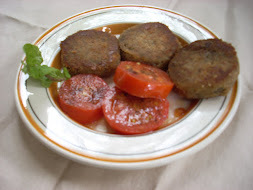 The ground meat or mince, was then formed into even sized balls along with other chopped ingredients and dropped into the boiling Curry which was meanwhile cooking on the stove. The curry was then left to simmer till the mince balls were cooked and the gravy reached the right consistency. The Yellow Coconut Rice was always prepared with freshly squeezed coconut milk, Sometimes, two fresh coconuts would be broken and then scraped or grated. The scraped/grated coconut had to be soaked in hot water and the thick milk extracted. For every cup of rice double the quantity of coconut milk was the right proportion; a little more would make the rice ‘pish pash’ or over cooked, and a little less would mean that the rice wouldn’t be cooked well. So very accurate measurements were required. The raw rice and coconut milk would then be simmered with ghee or butter, saffron or turmeric, bay leaves and a few whole spices of cinnamon, cardamom and cloves till the rice was cooked perfectly. This delightful fragrant Rice preparation formed the perfect mild subtle base of our Saturday Special Anglo-Indian Meal. The Yellow Coconut Rice and Mince Ball Curry (also known as Bad Word Curry) was always accompanied with a typical Anglo-Indian Sauce or Relish known as Devil Chutney. Devil Chutney is a fiery red chutney or sauce. Its bright red colour often misleads people to think that it is a very pungent and spicy dish, while its actually a sweet and sour sauce, and only slightly pungent. The vinegar and sugar used in its preparation react with the onion and red chilli to produce the bright red colour. Devil Chutney is also known as “Hell fire or Hell’s flame chutney or Fiery Mother-in-law’s Tongue Chutney” due to its vivid colour. 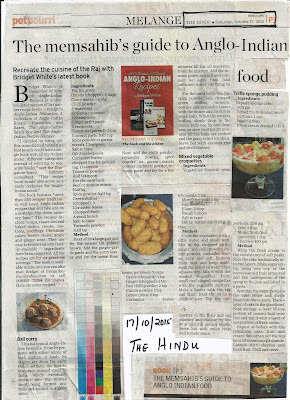 I would now like to share my mum’s recipes for these three special dishes. They are very easy to prepare. 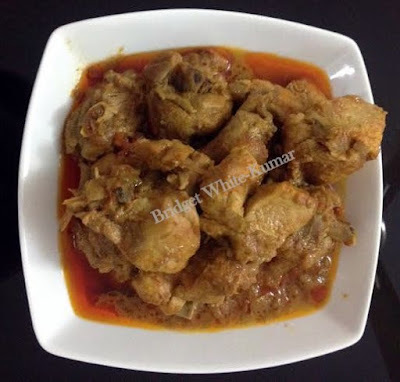 Heat ghee in a large vessel or Rice cooker and fry the spices for a few minutes. Add the washed rice, salt, turmeric and 4 cups of coconut milk and cook till the rice is done. 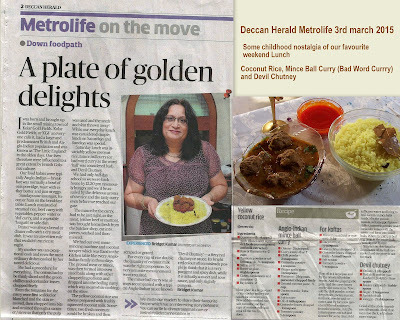 Coconut Rice is best served with Ball Curry or Chicken curry and Devil Chutney. Heat oil in a large pan and fry the onions till golden brown. Add the ginger garlic paste and the curry leaves and fry for some time. Now add the chili powder, coriander powder, all spice powder or garam masala powder, turmeric powder and coconut, and fry for a few minutes till the oil separates from the mixture. Now add the tomato puree and salt and simmer for some time. Add sufficient water and bring to boil. Meanwhile get the Mince Balls ready - Mix the all spice powder / garam masala powder, salt, chopped green chilies, turmeric powder and coriander leaves with the mince and form into small balls. When the curry is boiling, drop in the mince balls carefully one by one. Simmer on slow heat for 20 minutes till the balls are cooked and the gravy is not too thick. 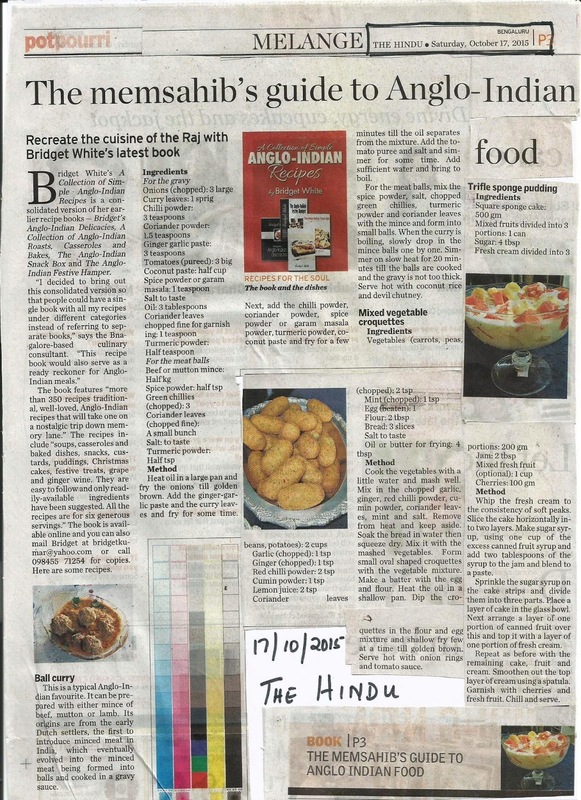 Serve hot with Coconut Rice and Devil Chutney. Grind all the above ingredients together till smooth. If chutney is too thick, add a little more vinegar. Kedgeree is a mildly spiced rice and lentil mix-up which originated during the time of the British Raj. 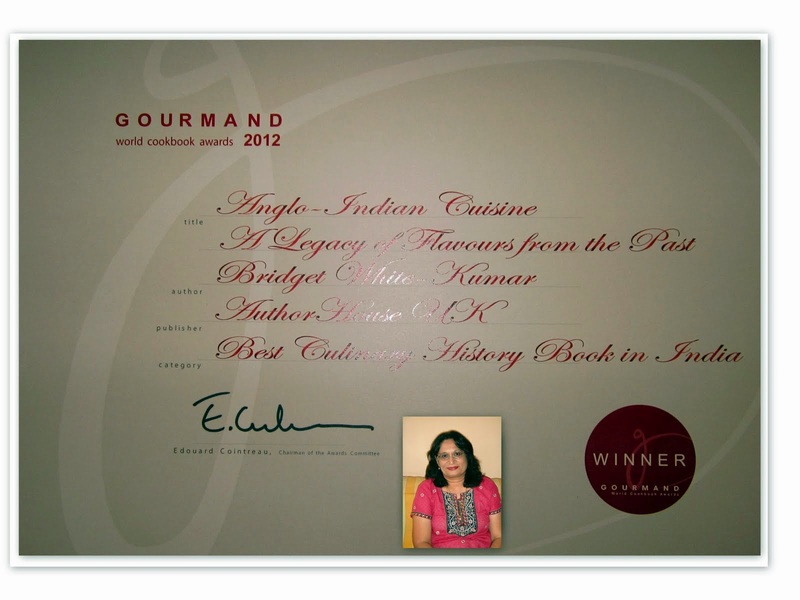 It is the anglicized version of the Indian Rice dish Kichiri or Kichadi. 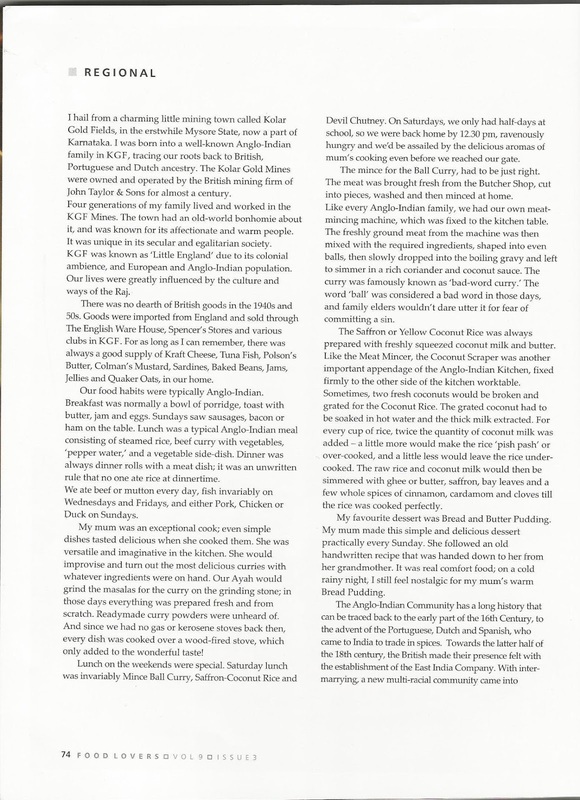 It was originally prepared with fillets or flakes of steamed or smoked haddock (but later salmon, kippers or tuna was used instead) parsely, boiled eggs, nuts, sultanas, rice and lentils. It made a hearty breakfast dish in the early days when it was considered healthy to have a cooked breakfast with all the essential nutrients. 4 hard-boiled eggs cut into quarters. Cook the fish in a little water along with the Bay leaves and salt for about 5 minutes or till the pieces are firm. Remove the boiled fish and keep aside. Add sufficient water to the left over fish soup / stock to get 6 cups of liquid and keep aside. Remove the bones and skin from the boiled fish and break into small pieces. Wash the Rice and dhal and keep aside. Heat the oil in a suitable vessel and sauté the onions, cloves and cinnamon lightly. Add the slit green chillies, whole peppercorns, cumin powder and chillie powder and sauté for a few minutes. Add the rice and dhal and mix well. Now add 6 cups of the fish soup / stock, lime juice / vinegar, sultanas, chopped coriander leaves and salt and cook on high heat till boiling. Reduce heat and simmer covered till the rice and dhal are cooked and slightly pasty. 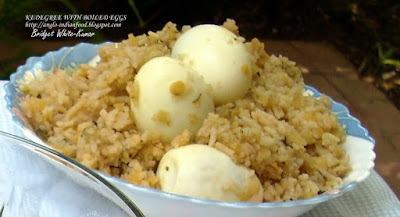 Gently mix in the cooked fish, butter / ghee and the hard-boiled eggs. Cover and let the rice draw in the fish for a few minutes. Serve hot or cold with Chutney or Lime Pickle. Marinate the meat with chillie powder, cumin powder, ginger garlic paste, coriander leaves, mint, green chillies, salt and yogurt / cream and leave in the fridge for about 6 hours or overnight. Heat oil in a suitable thick bottomed pan and add the onions, cloves, cardamoms, bay leaves, cinnamon, and pepper corns and sauté for a minute. Add the marinated meat. Stir fry for about 5 to 7 minutes till the pieces become firm and the oil separates from the mixture. Add 2 cups of water and close the pan with a tight fitting lid. cook on low heat without opening the pan for about 30 minutes till the meat is cooked and the gravy is a quite thick. Garnish with chopped Coriander leaves. Serve with dinner Rolls or Bread and steamed vegetables. Bread Pudding is an old fashioned dessert that had its humble beginnings in the 13th century in England. It was first known as a "poor man's pudding" as it was created as a means of making use of stale left over bread for poor people to eat. It was just moistened in water, to which a little sugar, spices and other ingredients were added. Today after it has passed through so many centuries, we think of bread Pudding as a Rich Treat. For those unfamiliar with this dish, (which I’m sure there aren’t many), bread pudding is typically made the British way, by soaking slices of bread cut into cubes in a mixture of milk, egg, and sugar; adding raisins and spices and baking or steaming the mixture. Actually its taste is not that much different from French toast, except more moist. 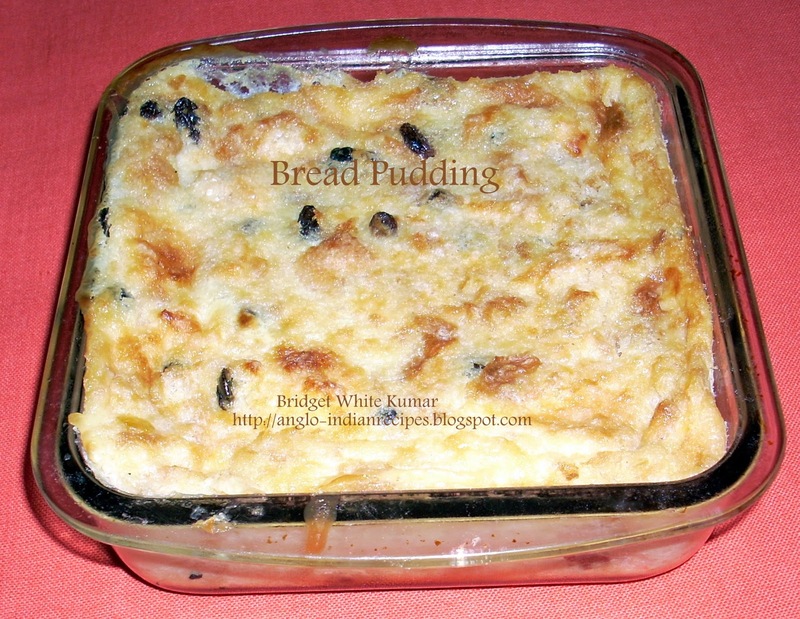 Bread pudding can also be made into a Savoury dish as well by substituting sugar and raisins with chopped tomatoes, green chillies or capsisums / chillie peppers etc. You could experiment and make your own tasty pudding. Of course, one’s choice of bread, the addition of optional ingredients, and the details of preparation can make bread pudding into art form. 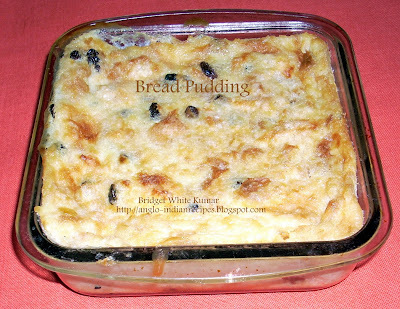 Bread pudding can be made into a rich heavy dessert or just a simple light dish that even an invalid can digest. The possibilities are endless. 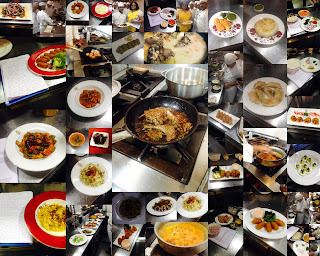 Try out the recipes given below. The same pudding can be steamed in a pressure cooker as well.